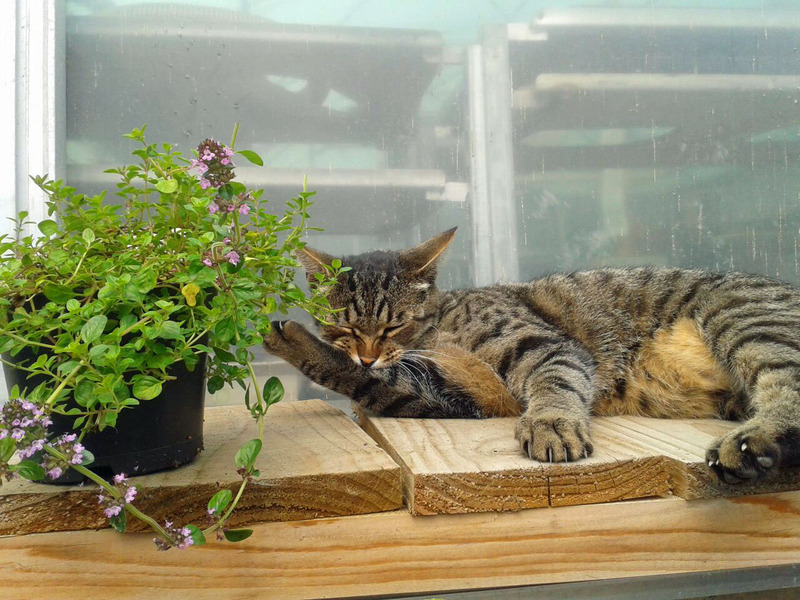 A day out to Bodmin Plant & Herb Nursery | Crowlas & Ludgvan W.I. 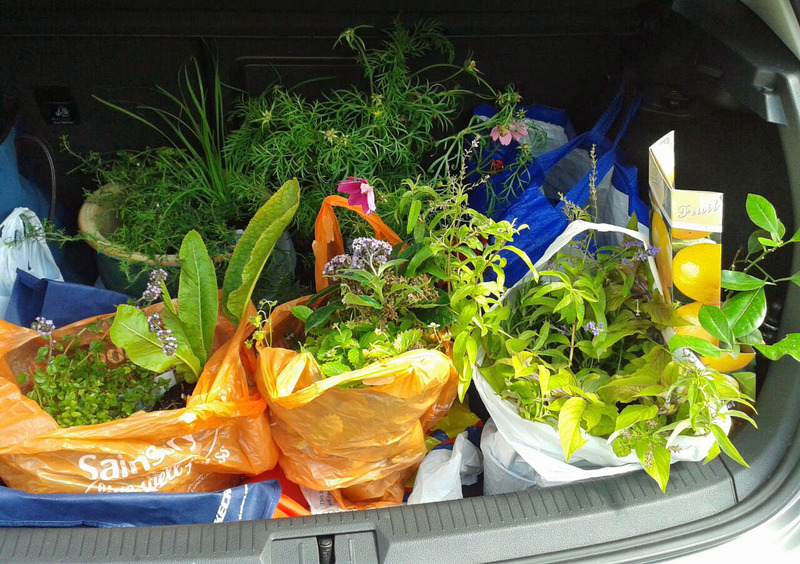 On Friday, Charlotte, Gail, Pam R and Julie set off for a CFWI day out to Bodmin Plant and Herb Nursery. They were welcomed by the owners Karen and Mark and served lovely fresh coffee and homemade biscuits. 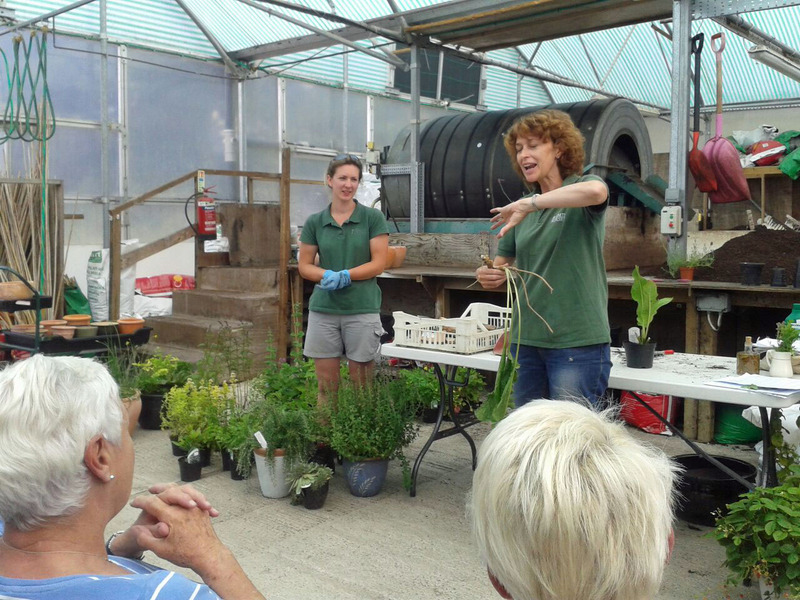 They then split into two groups and went to the potting shed where there was a beautiful display of herbs with which Karen and Claire (the young woman in charge of the herbs section) described a variety of potting options, explaining the herbs’ uses and how to keep them at their best. 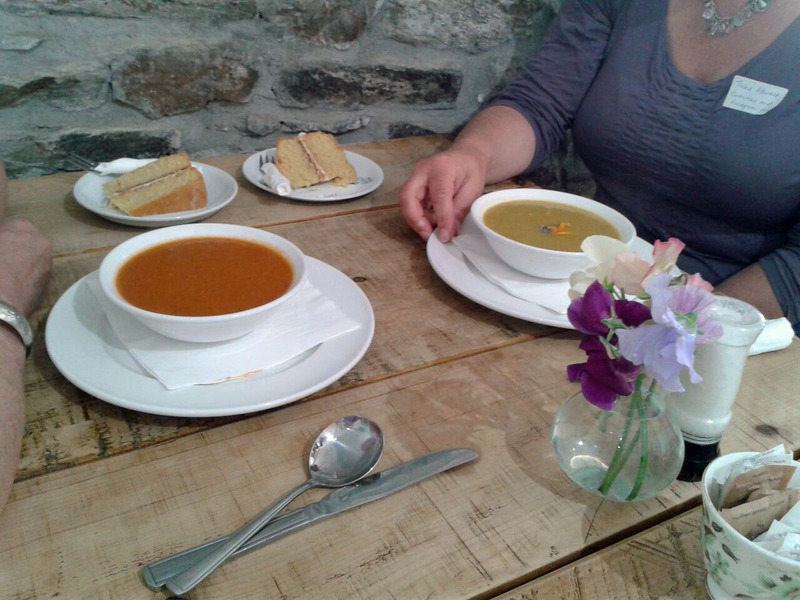 Off to lunch now where they were served homemade soup and homemade cake! Along the way, the ladies made a gorgeous new friend! 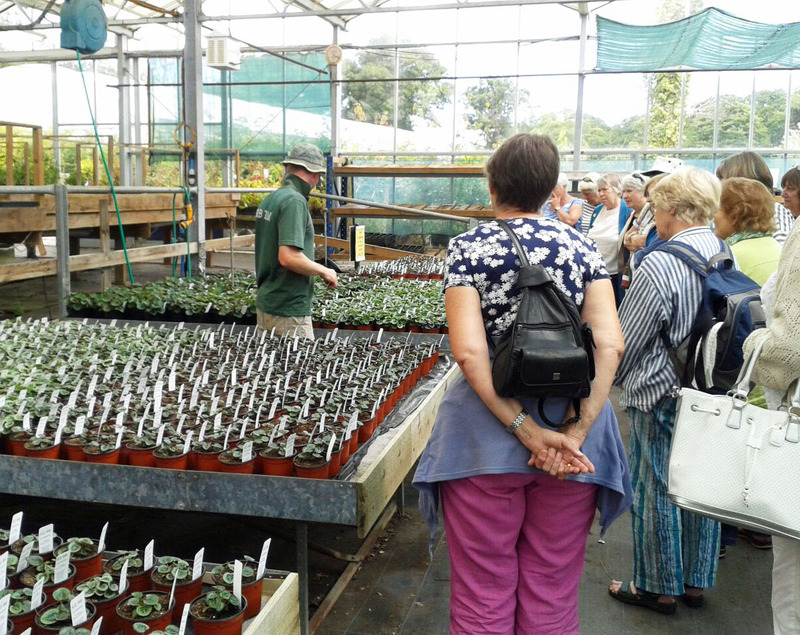 The afternoon was spent on a tour of the operation explaining how they water, propagate and care for the plants from beginning to sale. It was a fabulous day with some super discounted shopping – it looks as though the ladies came home with a boot full of goodies! Thanks to Gail for the report and fab photos! This entry was posted in Uncategorized and tagged Bodmin, CFWI, outings. Bookmark the permalink.